Graduates of the Stella K. Abraham High School for Girls, now attending Israel seminaries, happily greeted each other and Mrs. Elisheva Kaminetsky, principal, Judaic Studies, and Israel adviser Mrs. Paghit Ralbag at the annual reunion held on Tuesday, January 8, in the Old City of Jerusalem. During the evening, delighted alumnae had the opportunity to “see” their former teachers on FaceTime, eliciting much excitement from the students. An added bonus to the evening was a panel of four SKA alumnae who have made aliyah and are now living in different cities in Israel. It was very uplifting to hear from Shana Margules Wurtzburger (’01), Nava Lauer Feigenbaum (’03), Elana Schreier Glatt (’11), and Talia Williams Eisen (’02), who shared their experiences beyond high school and SKA and reflected on their current lives. A second reunion, this one for SKA graduates who have stayed in Israel after shanot aleph and bet, attending university and other institutions, was held on Wednesday, January 9, at the Leonardo Plaza Hotel. 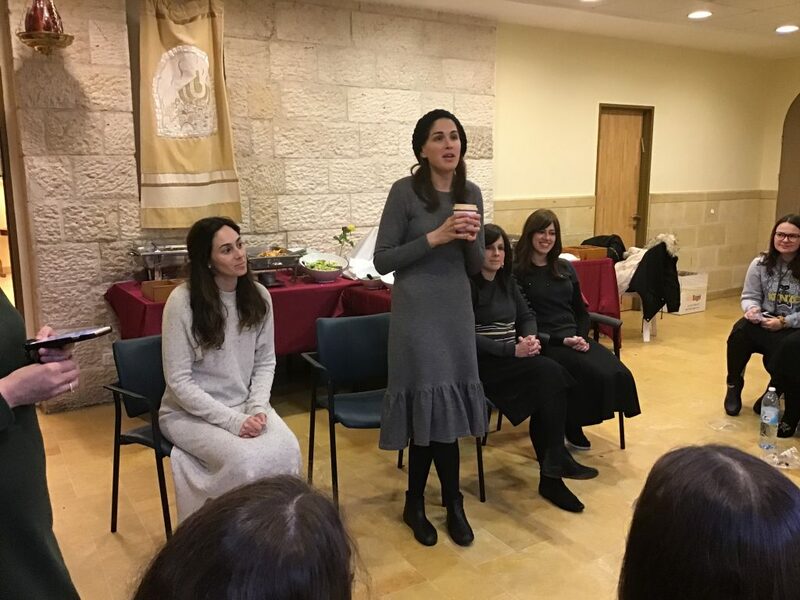 The SKA attendees were privileged to hear from noted Israeli radio personality Mrs. Sivan Rahav Meir who spoke to them before giving her shiur across the street at Heichal Shlomo. Mrs. Rahav Meir delivered words of chizuk to the girls and gave a special yashar koach to SKA graduate Chani Aryeh ‘17 who just made aliyah! In addition to the reunions, Mrs. Kaminetsky and Mrs. Ralbag visited every seminary their students attended, and each SKA graduate had her own personal meeting to discuss her progress and explore her aspirations for the second half of the year. The SKA reunions are some of the most anticipated visits of the year! 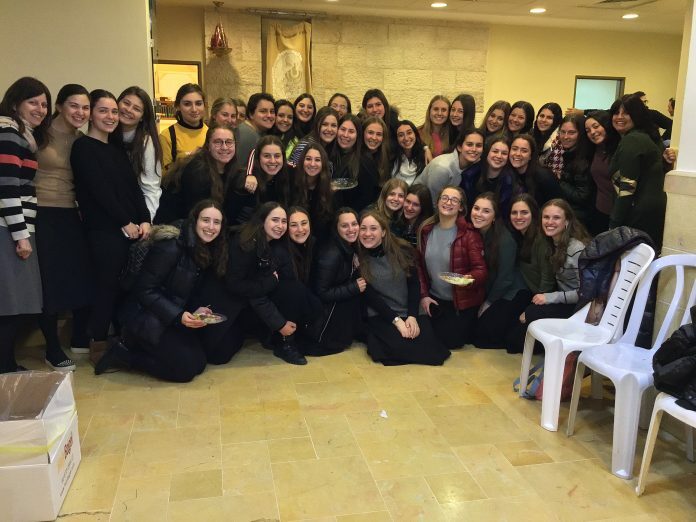 Over past winter vacation, students of the Stella K. Abraham High School for Girls had the opportunity to keep the Torah “spark” alive with a special learning initiative. The SKA SPARKS committee, a Torah lishma student program, with the help of Rabbi Isaac Rice, head of the Torah She’ba’al Peh Department, organized a WhatsApp group which sent shiurim from many different speakers each day of the break, as well as a Minchah reminder, safeguarding Torah inspiration over vacation. Approximately 150 SKA students joined the chat and took part in this amazing project. It was a really beautiful way to enable students to learn to bring Torah into their everyday lives and, im yirtzeh Hashem, this creative spark will carry us through an extraordinary second semester!